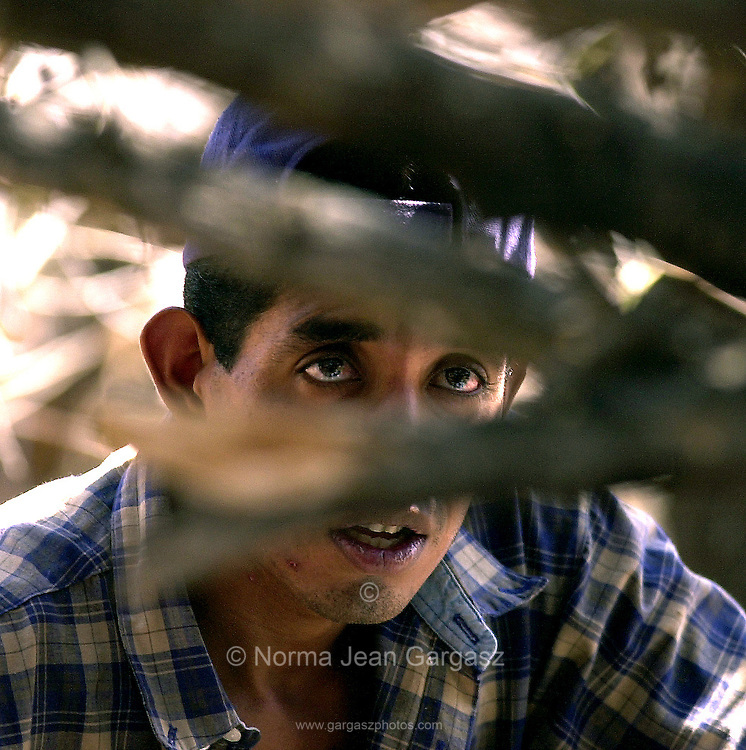 An undocumented migrant who crossed illegally onto the Tohono O'odham Reservation from Mexico with a group of about 15 others, tries to escape the midday July heat in the shade northeast of Cowlic. While the group consisted of adults, some in the group who are parents said they would not bring children through the deadly heat of the West Desert. A 35-year-old woman died on this morning a few miles where this group was apprehended by the Border Patrol. ©Norma Jean Gargasz/Tucson Citizen. All rights reserved. Use only with written permission of the copyright owner. Credit mandatory.